As a prelude, she handed the floor to like-minded Amsterdam-based artist duo Lonneke Gordijn and Ralph Nauta of Studio Drift to create a kinetic sculpture. 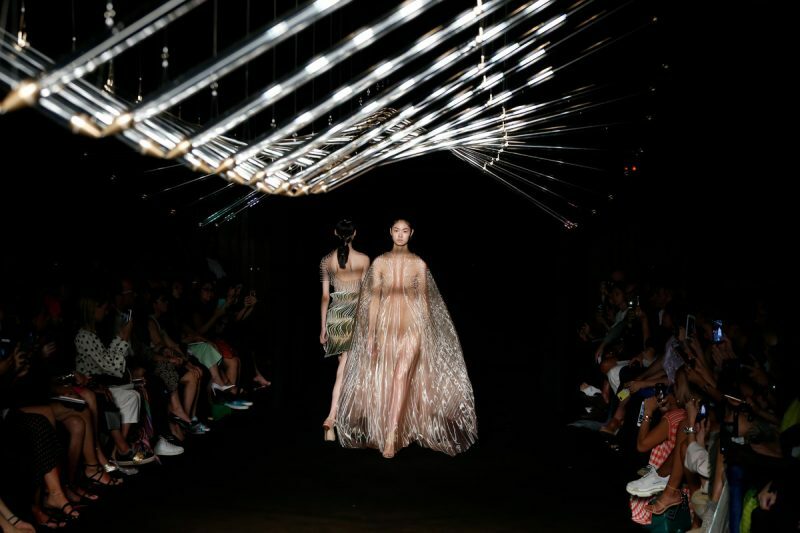 Suspended above the runway — and based on the concept of a glass bird — the installation was composed of rows of glass bars suspended by invisible wires that made them move like wings. 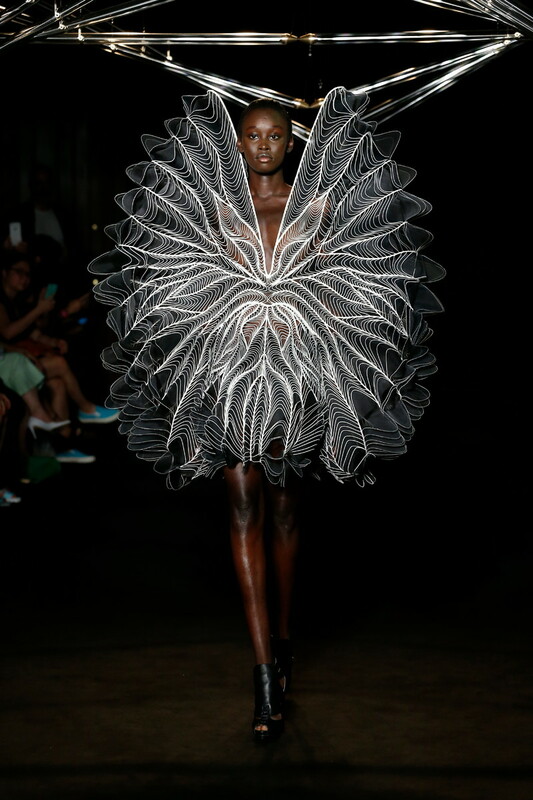 It made for some novel runway entertainment, but the show really took flight with van Herpen’s creations based on interpretations of a feather’s architecture. 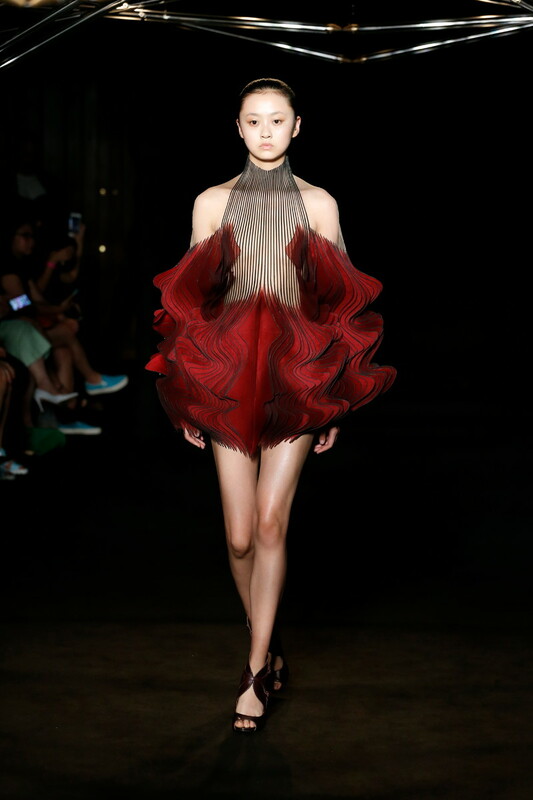 The designer used chronophotography, a technique from the Victorian era that captures movement in several frames, to guide the draping of a garment, breaking the process down to emulate the layering of a bird’s feather on sculpted dresses with undulating hems. 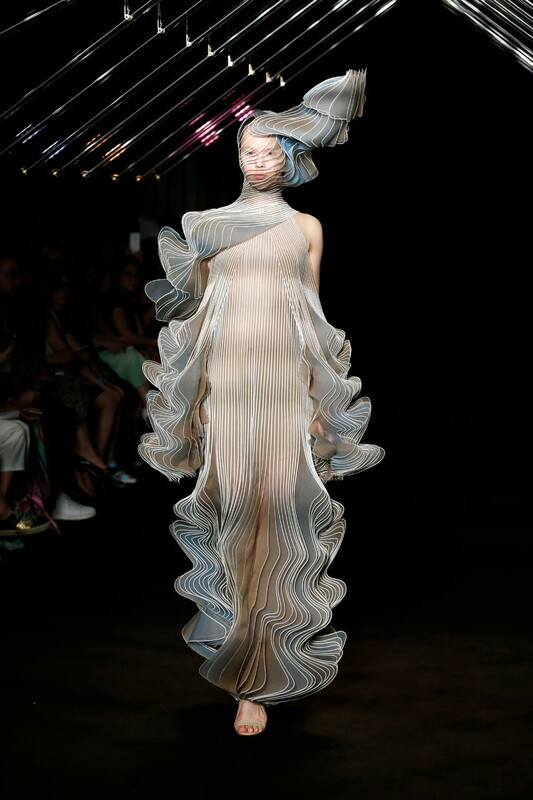 Other looks had an ethereal underwater feel, seen in rippling dresses with a classical allure, and luminous cape gowns in sheer silk organza, their liquid-coated pleats echoing the lines of the kinetic installation. 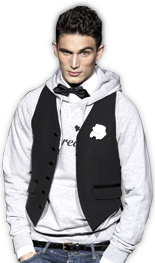 The Syntopia theme also played out in a series of gray coats and dresses in laser-cut wool fused with sections of intertwined digitally designed and traditional weaves, fringes of leather tassels swinging from the hems.